Replacement wiper arm bearings for later BMW 5 & 6 Series E60 E61 E63 E64. Please check you have a later linkage (see image) before ordering, this will normally be found on a car made between 2006-2010. We also make a kit for the earlier arms please see our Kit A (search 262810229878) Fitting instructions https://youtu.be/eFuH1NowiUo. Body, Bumpers & Trims. Filters & Service Kits. We have a friendly and knowledgeable team who are more than happy to help. 'ONE CAR PART' Sales Team. We hope to hear from you soon! 9.30am - 16.30pm. If your Nissan Qashqai windscreen wiper motor linkage is worn and popping off this will prevent it. The Repair Channel can be fitted it in minutes, it just slides over the joint and is secured with the supplied split pin. Fitting Instructions https://youtu.be/riD3g9PKYRo. HEADLAMP TWIN JET STRAIGHT INLET PUSH FIT. 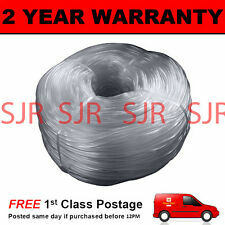 PAIR UNIVERSAL WINDSCREEN WASHER JETS. Labour claims are never accepted. Number of Jets: 2 (Twin Jet). All of our products are sourced directly from our range of approved factories. Nissan Qashqai MK I 2007 - 2013 Diesel: 1.5 dCi, 1.6 dCi, 2.0 dCi SUV. Nissan Qashqai MK I 2007 - 2013 Petrol: 1.6, 2.0 SUV. Nissan Qashqai MK II 2013 - 2016 Diesel: 1.5 dCi, 1.6 dCi SUV. Nissan Qashqai J10, JJ10 2007 - 2015 Petrol: 1.6 SUV. Chrysler 300C. WINDSCREEN WASHER NOZZLE. Jeep Patriot 2007-2010. Jeep Compass 2007-2010. Chrysler PT Cruiser 2001-2010. Chrysler Grand Voyager RT 2008-2016. Fiat Freemont JF 2011-2016. VEHICLE APPLICATION. Vauxhall Vectra C Signum Windscreen Wiper Linkage Push Rod Arms Repair Fix Kit Installation Instructions - YouTube. Vauxhall Vectra C and Signum 2005 to 2009. The poor quality bearings on your vehicles wiper linkage rods wear causing the linkage arms to pop off. Pair Left&Right Side Front Headlight Washer Nozzle Cover Cap For VW Golf 4 IV Mk4 1998-2006. 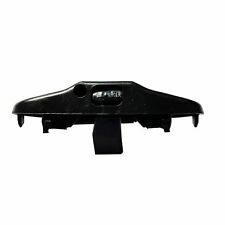 For VW Golf 4 IV Mk4 1998-2006. -Quantity: 1 Pair. Durable and long service life. 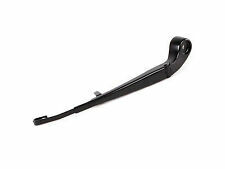 Universal 26" 6mm Black Silicone Wiper Blade. 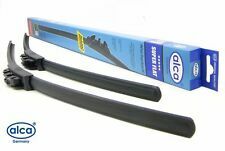 2 x 26" 6mm Wiper Blade. - Universal fits most cars/buses/vans/lorries/trucks. We will reply you ASAP. Size: 650mm/26". Width: 6mm/2.36". Quantity: 2 piece. 3x Black Front/Rear Windscreen Wiper Blades Set For Ford Focus MK2 1.6. Fit for Ford Focus MK2 1.6. 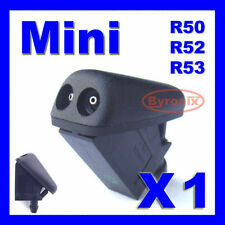 - Improved performance for crystal clear windscreen. 1 x Rear Wiper Blade. 1 x Drivers Side Wiper Blade. 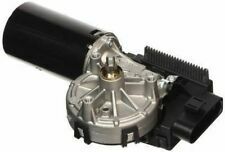 REAR WIPER ARM MOTOR GEAR REPAIR WHEEL FOR RANGE ROVER III. Uyumluluk: RANGE ROVER III. Class service. We will endeavour to replace any incorrect or faulty tem as fast as possible. Tigra B (93-02). Vauxhall / Opel. Corsa B (93-00). Combo B (93-01). Front Windscreen Wiper Arm. UK DRIVERS . This will fit the following vehicles:-. FRONT RIGHT SIDE . 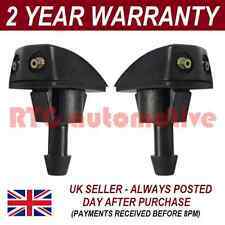 2PCS Universal Black Car Washer Blade Arm Wiper Water Spray Jet Nozzle 9mm 4mm New. 2x Washer Jets. Application: Universal Car. Position: Driver, Passenger, Rear. Color: Black. Unique appearance. Width: 9 mm. OE Ref number :105050 ; 643230. Producer: SEIM Genuine Peugeot producer. Washer Bottle Cap. For Skoda Citigo -12.2011->2016. For Seat MII -12.2011->2016. For VW Scirocco -08.2008->. For VW Up! -12.2011->2016. Key Cover / Key Fob Case. Front/Rear Wiper Blades. Door Lock Buckle Cover. Cross Reference3397008635,A332H,119517,574611,VM264. Lucas Glow Plugs. Lucas Oxygen Sensor. Conventional style wiper blades, modern flat blades and new hybrid style blades are all available in the Lucas range. Windscreen Washer Bottle Cap. Windshield Washer Fluid Reservoir Cap. Ref.Number : 643230. Our PartNumber : A531. Partner / 1994 - 2002. Expert / 1996-2015. 806 / 1994-2002. 406 / 1995-2004. Manufacturer Part Number: 13227300. 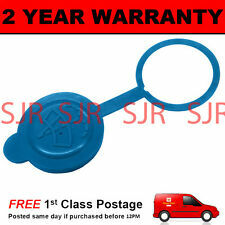 1 x Windscreen Washer Bottle Cap. For Chevrolet Camaro Coupe 2010 - 2013. For Chevrolet Malibu Convertable 2011 - 2013. For Chevrolet Malibu 2013. For Chevrolet Impala 2014. Twin Jet, Wiper Nozzle. Land Rover Defender. PRC5736 x 1 piece. Vauxhall Vectra C Signum Wiper Linkage Repair Channel 2005-2009. Vectra C or Signum made between 2005-2009 withwhite sockets manufactured by Dongyang. If your Vectra or Signum windscreen wiper motor linkage is worn and popping off this will prevent it. Front Windscreen Wiper Blades Fit For Vauxhall Opel Corsa D 2006-2014 26"16"
Vauxhall Mokka. For Vauxhall Corsa MK3 (D) 2006-2014. For Opel Corsa D 2006-2014. Front/Rear Wiper Blades. You'll have more choices than what you can ever imagine. Key Cover / Key Fob Case. 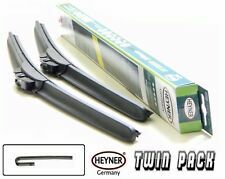 Composition: 2Pcs Front Wiper Blades Designed for RHD Model. Chevrolet Spark M300 (2010 Onwards). Holden Barina Spark M300 (2010-2014）. Front/Rear Wiper Blades. Key Cover / Key Fob Case. Door Lock Buckle Cover. Composition: 1Pc Wiper Blade Made: Made in China. Rear Cargo Mat / Car Nets. ). Item included: 1 x Fluid Reservoir. Material: Plastic. Condition: 100% new. 2 X Peugeot 406 & 605. To Fit Peugeot 406 & 605 Models. Front Washer jets. 1 X Windscreen Wiper Blade Refill. Applies to: windshield wiper. Material: rubber. Size: length 65cm. Easy to clean,give a clear view back for you again. If your Fiat Punto windscreen wiper motor linkage is worn and popping off this will prevent it. It is very easy to fit our Wiper Linkage Repair Clip, if you can see the linkage, it can be fitted it in minutes, you do not need to remove the motor or linkage from the car. Fitting Instructions https://youtu.be/ExLT5s0SxeM. Bosch Spark Plugs. Bosch Glow Plugs. Bosch Oxygen Sensors. BLADE TYPE:Conventional Wiper. 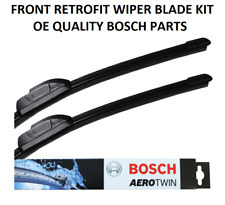 Bosch wipers are proven to perform better and have greater longevity. Cold temperatures can reduce the flexibility of the rubber and cause juddering as the wiping edge of the blade does not flip back and forth. Peugeot 106. Version : 3D Hatchback OR 5D Hatchback. 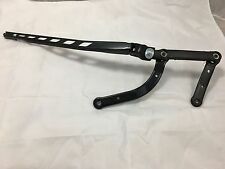 Rear Wiper Arm with Blade. 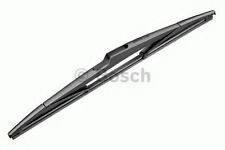 Wiper blade length : 350 mm. Production year : 1996 TO 2004. KITS de REPARATION LEVE-VITRE. COMPLETE WINDOW REGULATOR. 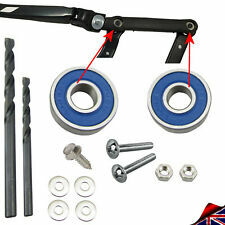 USA WINDOW REGULATOR KIT&CLIP. WINDOW REGULATOR KIT AND CLIP. 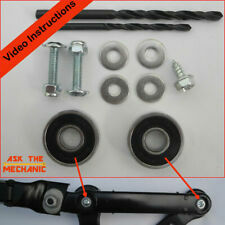 WINDOW REGULATOR REPAIR KIT / VW. LAND ROVER. REAR WINDOW WIPER. Fits to VW · Transporter · MK V [2003-2015] Box. 1 X Peugeot. Fits Most 106 ( 1991-1995 ) & 306 (1993-1998) Models. Rear Washer jet. Perfect to replace your old worn out blocked or corroded washer jet. Vehicle:Skoda Octavia. Flat aero wiper blades - window windscreen jointless beam. Mirrors Body parts wiper blades and more. Wiper Blades. 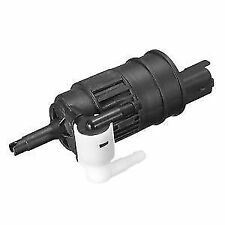 Wiper Blades Adaptor:B. required position and put wiper arm back on the windscreen. ITEM NUMBER A860. VW GOLF MK5 HATCHBACK. A NEW REAR WIPER ARM COVER CAP. 1 x COVER CAP. FROM 2003 TO 2008.